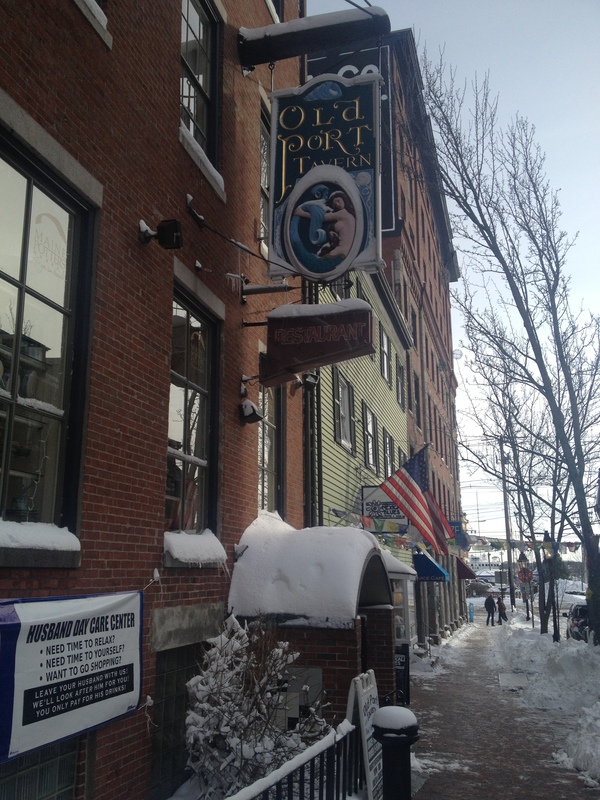 We enjoyed a quick escape to Portland ME this past weekend with our good friends, Larry and Liz. 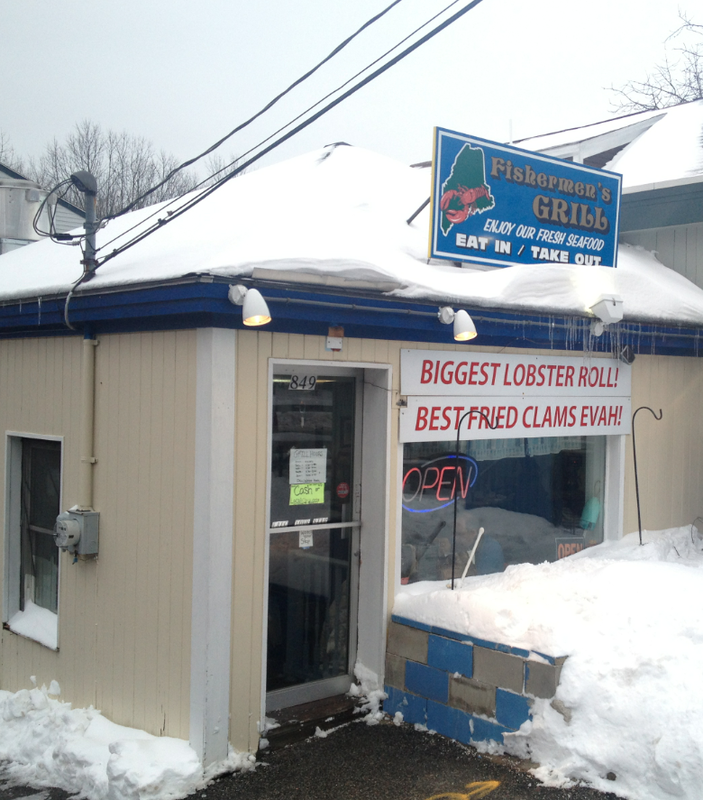 A great time was had by all, but as is usually the case we dragged our friends along for some lobster rolling. Nursing various degrees of hangover, courtesy of two of our favorite haunts, Sonny’s and Grace, the four of us ventured out Sunday morning to meet up with another couple who live in the area. We had a choice between Eventide Oyster Co. (which co-habitates with its fraternal twin, and one of our very favorite restaurants, Hugo’s) and Old Port Tavern. 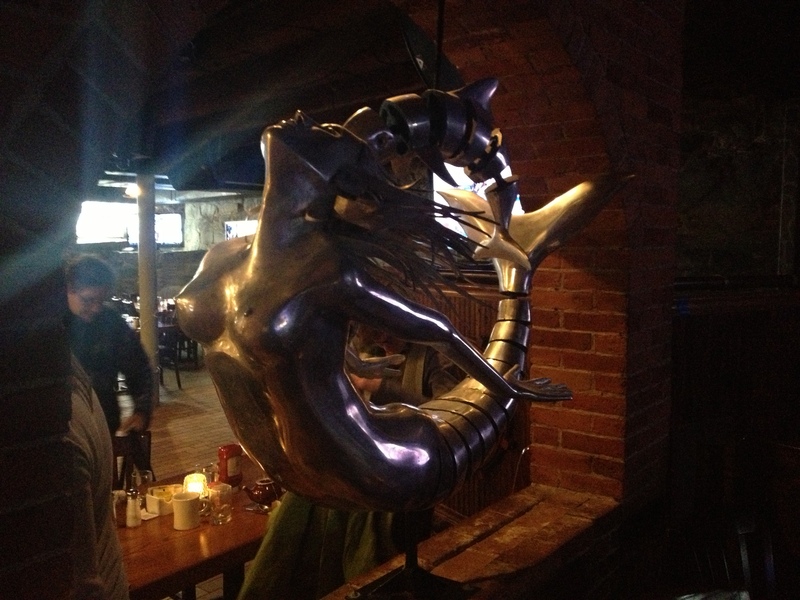 Since we revere Hugo’s, and wanted to make our visit to Eventide a bit more of an event, we chose to luncheon at Old Port. Right in the heart of downtown Portland, OPT is certainly convenient. We descended into their subterranean space to find the place completely empty. Granted, it was 12:30 p.m. on a Sunday and the town was definitely a bit slow waking from its post holiday slumber, but we were honestly surprised such a big place would have no customers at all for a Sunday lunch. We both ordered the lobster roll, as did three of the remaining four of us (although Larry was definitely tempted by the Lobster Philly Cheese Steak). Our rolls took quite awhile which, considering we were the only customers, told us our rolls were being made to order. 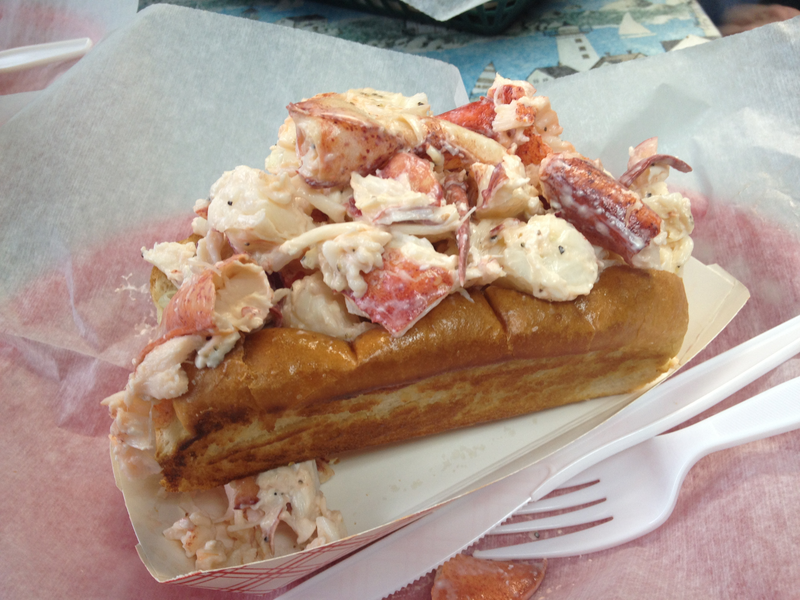 HOWEVER there is controversy (read on) – only the second in Lobster Roll Chronicles history. These rolls were interesting. They certainly looked good, but were housed in an overly-large baguette-style roll. 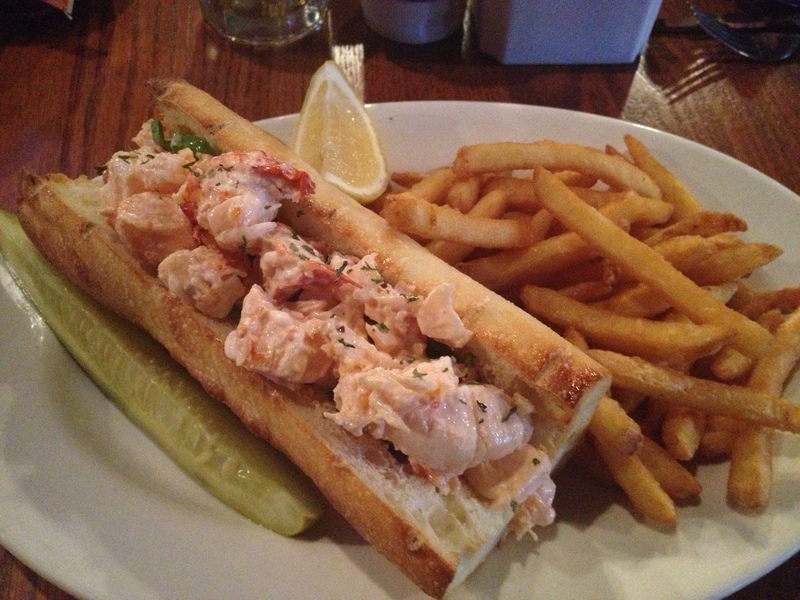 There was just way too much bread in this roll for the amount of lobster meat provided. Note that there was plenty of lobster but it was completely out of whack with the gargantuan roll, prompting Liz to suggest we cram all our lobster meat down to one end of the roll and simply amputate the remaining unnecessary bread. Good call, Liz! 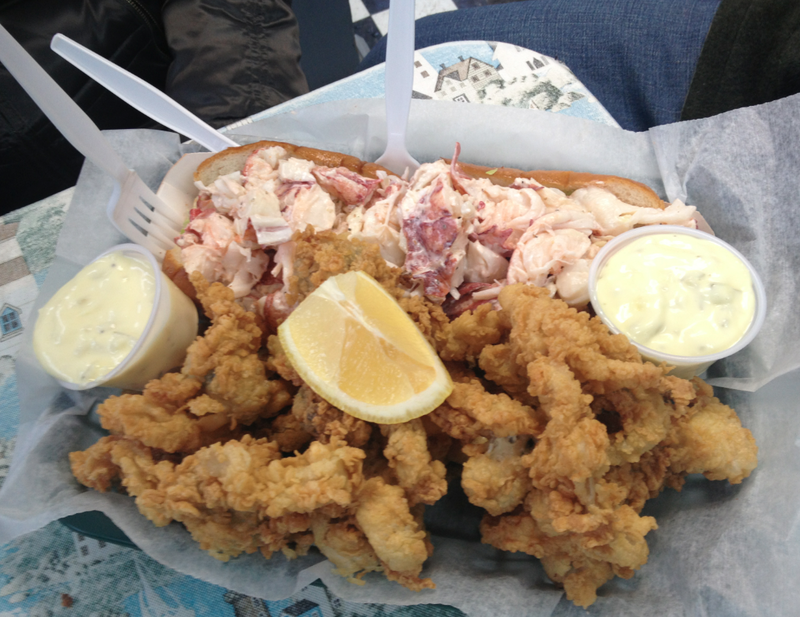 As for the controversy, we visited OPT just 24-hours after visiting a very high quality roll shack called Fisherman’s Grill (review forthcoming). As such, OPT definitely suffered by comparison… at least for some of us. Others of us actually preferred the OPT roll, or at lease the lobster meat. Well, suffice to say that one of the two of us is absolutely blown away but this assessment. This person thought the lobster meat was at least a day old at best, if not frozen at worst. Combined with the ginormo-roll, this roll was a fail. 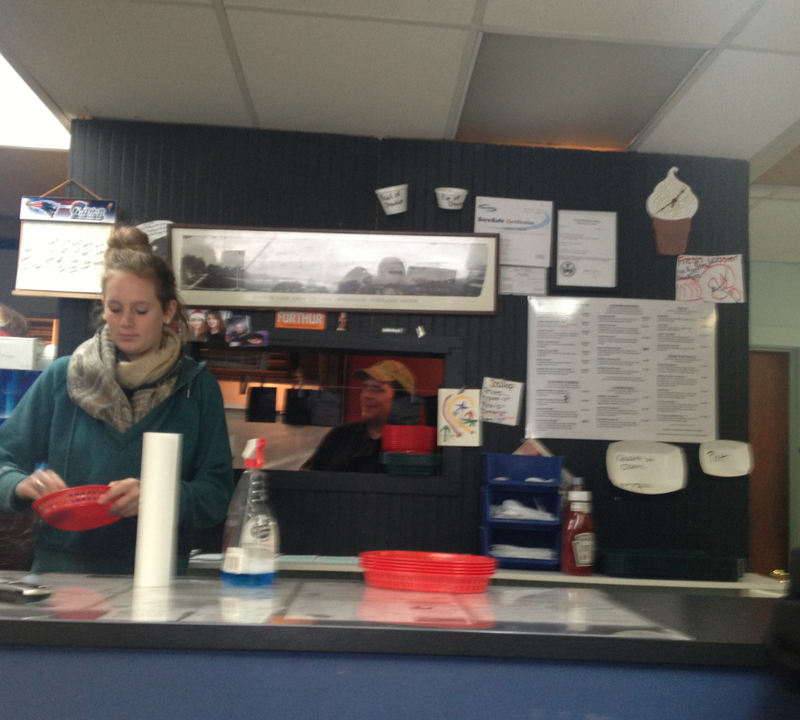 The other of us thought the lobster meat was very fresh and even preferable to the lobster at Fisherman’s Grill. Interestingly, this sentiment was echoed along gender lines, with the guys strongly preferring Fisherman’s grill and not at all crazy about the OPT roll, whilst the ladies seemed to prefer OPT. As a qualifier, P acknowledged that despite her preference in lobster meat, the roll, as a whole, was substandard. We’re not sure how two people who agree nearly all the time (at least, when it comes to lobster rolls) could have such radically different reads on the same roll. Perhaps the ladies should visit OPT, while the gents should look elsewhere. Way too much bread, and lobster meat one of us thought was suspect.